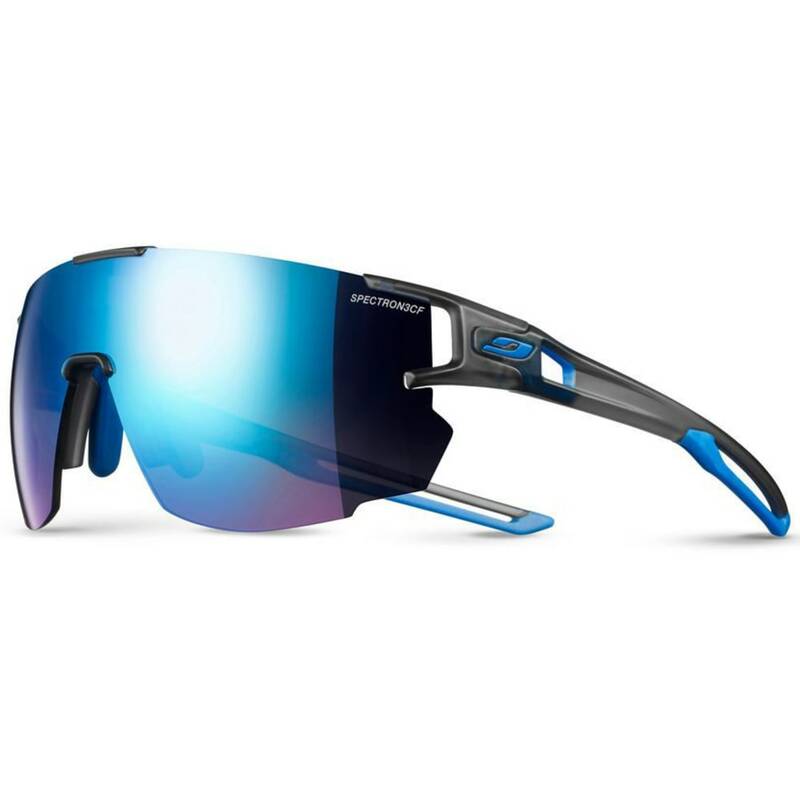 For endurance addicts, triathletes seeking peak performance, cyclists, and runners, Aerospeed is the perfect answer for a new dimension of vision and speed. 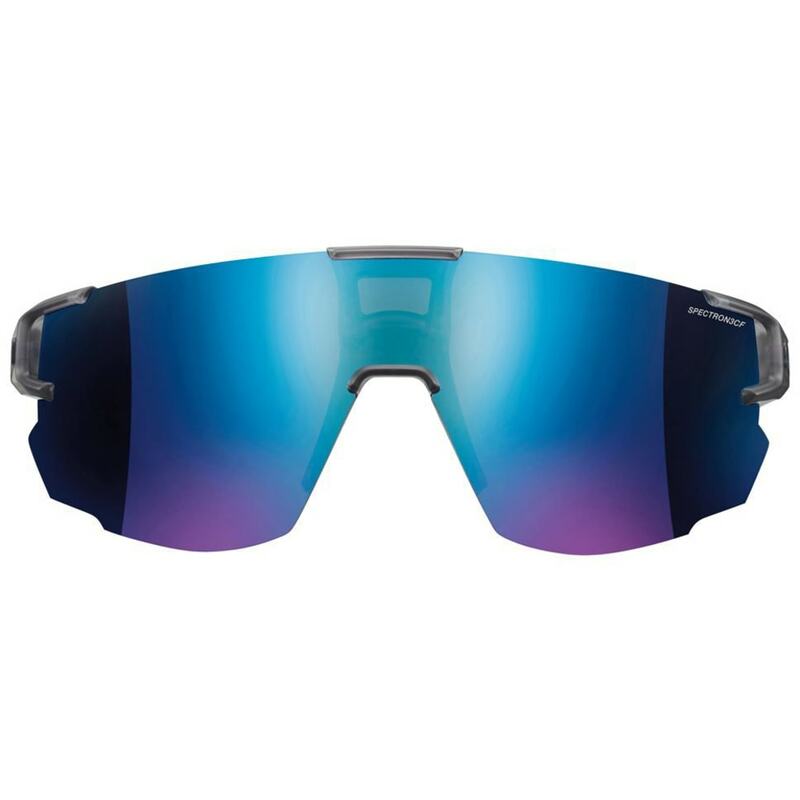 Its giant photochromic REACTIV lens creates an XXL field of vision in the maximum speed position and in all other configurations. Innovative aerodynamics guarantee both all-comfort coverage and excellent penetration through air. Light, rapid, and streamlined for seeing ever faster! Spectron 3CF: Cat. 3 polycarbonate lens. Light yet offering good shock resistance, this multipurpose lens is suitable for all types of activity. Protection category: 3. Smoked or brown tint + blue tint flash finish. Light Zebra: Cat. 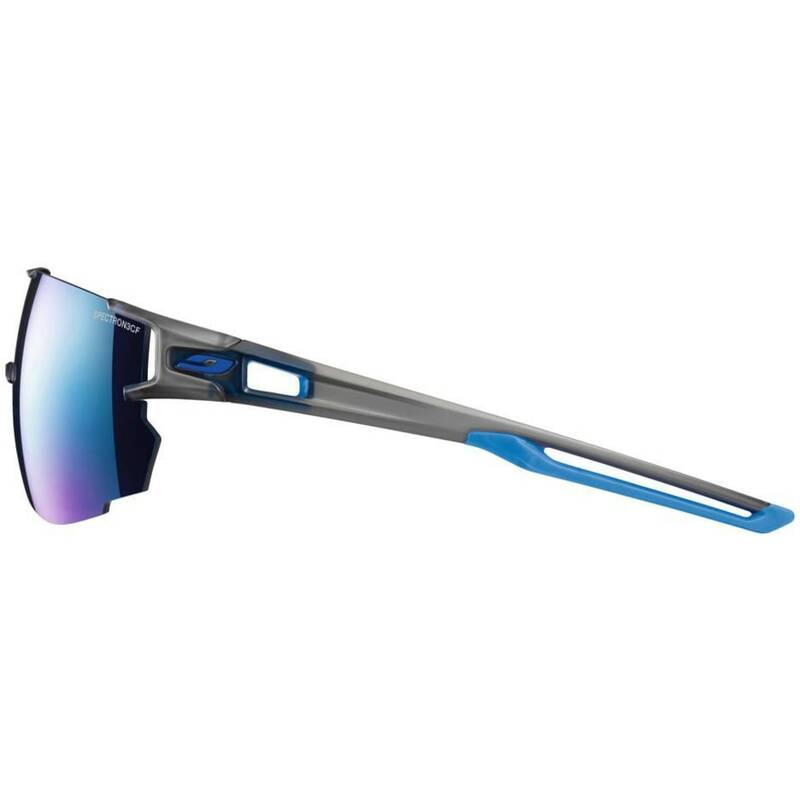 1 to 3 photochromic, anti-fog lens. Recommended for trail running, mountain biking, etc.